Religious discrimination comes in many shapes and colors. Our religious discrimination attorneys in Los Angeles are all to familiar with this discriminatory actions and are ready to fight for you. Call us 310-527-6994. The most common religions in the United States are Protestant, Catholics, Mormons, and Jewish. These religions typically do not require a dress code and their religions are typically recognized nationally. Unfortunately, if your religion requires accommodation at your workplace, you may experience more challenges than someone whose religion is more common and understood. This may lead you to experience more discrimination. Recently, a study from Washington University in St Louis completed study suggesting the White Americans are more likely to assume that person who likes Mexican, Middle Eastern or Italian are immigrants that are illegal or undocumented. They also believe that they are uneducated or of lower status. This is not to be conflated with all white Americans. Nor should the study be misinterpreted as only one region or all regions in the United States think this way. Instead, the study should be accepted as a consideration. Imagine asking for employment by that average White American with a full headdress on and a darker complexion. What do you think the odds are of someone getting hired like that versus the lighter skin person whose dress or mannerisms is more familiar? If there are hiring challenges for someone with tattoos and piercings then surely there are challenges for other differences such as attire or physical practices; particularly if those things are tied to your religion. Discrimination covers terminating or failing to hire someone to avoid accommodating religious practices. It is unlawful to retaliate or discriminate against a religious person who is asking for accommodations. It is unlawful to segregate a person for their religious accommodations unless expressly asked by the religious person. If this sounds like your story then you need to call our religious discrimination attorneys in Los Angeles at Rager Law Firm. 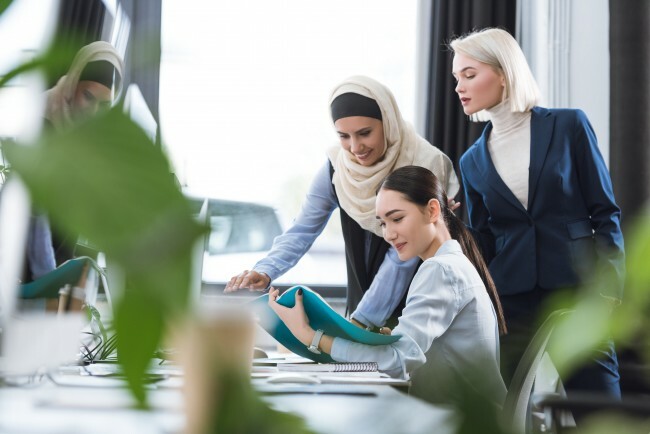 Our religious discrimination attorneys are all to familiar with this discriminatory actions and are ready to fight for you. Call us 310-527-6994 or click here to schedule a free consultation. If your gut is telling you that something is wrong then there probably is something wrong. By raising your voice you are raising the hiring standard to incorporate more diverse choices. Our religious discrimination attorneys in Los Angeles believe your story and we can’t wait to represent you.